​Germán Osorio-Hernández was born in Pácora, Caldas (Colombia) in 1978. His father is Ramón Elias Osorio and his Mother was Giselle Hernández (deceased). He has two brothers and one sister; four nephews and two nieces; all live in Colombia. Germán graduated from High School in 1996 and from College in 1999. He started his theological studies preparing for the priesthood in the year 2000. In 2003 Germán came to the US and later received his Master in Divinity from Mount Angel Seminary in Oregon. His ordination to the priesthood, by Bishop Michael P. Driscoll, was on June 10, 2010 at St John’s Cathedral. His first parish assignment was at St Paul’s in Nampa, where he served for 3 years, then in Soda Springs for 4 years, and now in Mountain Home since July, 2017. Fr. Germán is happy to serve at Our Lady of Good Counsel. He especially loves the fact that his parishioners have a diversity of backgrounds and cultures. Many hail from Mexico, the Basque country, Ireland, Korea, Philippines, and Italy, and each brings their own traditions and celebrations. The varied backgrounds add a level of vibrancy to the parish. While they share their homeland celebrations with each other, they are happy to be in America and celebrate those traditions as well. Fr. Germán loves Mountain Home, citing it as a very safe and friendly place to live. Father also feels a special calling to reach out to Catholics who have fallen away from the Church. He is joined in this mission by Sisters Susie Johnston and Sheila Cigich, SDG, and hopes to be able to heal past divides and encourage former Catholics to return to the Church. Fr. Germán’s relationship with Catholic Charities began as a client, working with the CCI Immigration Legal Team and receiving US Citizenship on July 12th, 2018. “Martha Alejandre (Immigration Case Worker) did a great job, and it was not nearly as long or tedious as I expected,” shares Fr. Germán. Extending the same opportunity to others and in conjunction with CCI, Fr. 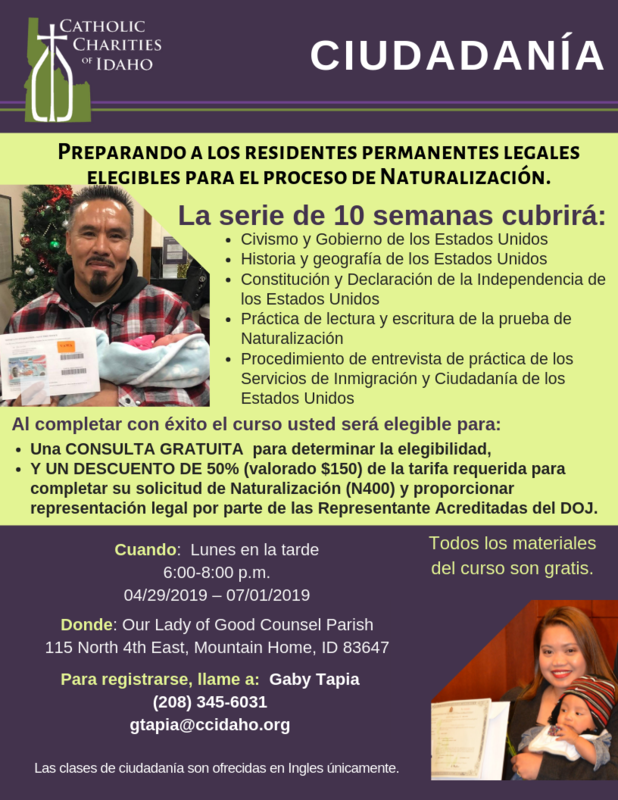 Germán will host a free Citizenship class at Our Lady of Good Counsel, beginning on 4/29/19, to prepare eligible Lawful Permanent Residents for the naturalization process. 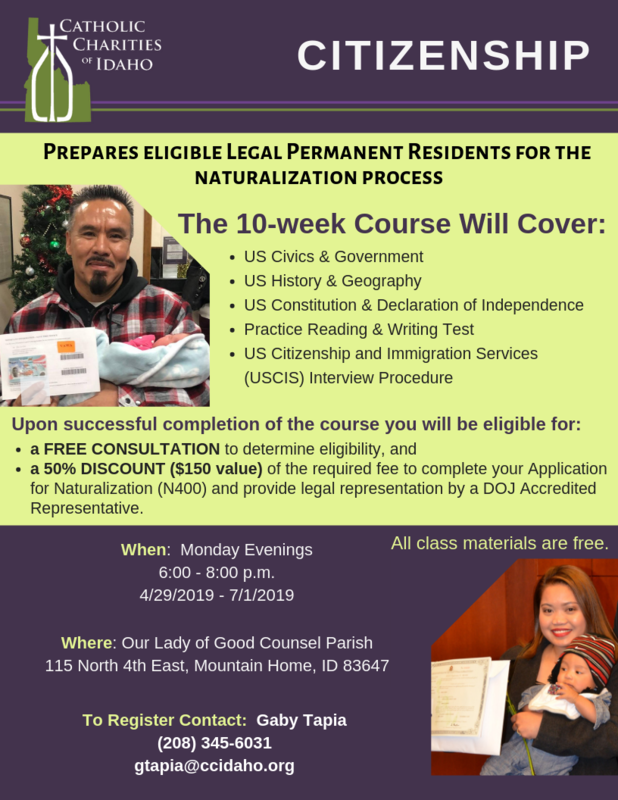 It is a 10-week course that will be followed with immigration legal services to help those qualified in the Mountain Home community to achieve citizenship. With nine years of pastoral experience, Fr. Germán brings to the CCI Board of Directors considerable expertise in pastoral care, mission work, and care for those who are disenfranchised and in need of support. He also brings valuable cultural awareness that will strengthen the programming offered by Catholic Charities. Fr. Germán has two pets, a dog and a cat, both of which he loves dearly. He takes his dog with him wherever he goes, on hikes, walks, and when visiting with friends. She’s a Shih Tzu / Lhasa Apso mix, very friendly and loved by many. And like every good Colombian, he loves a strong cup of coffee! ​We too are grateful! Welcome, Fr. Germán Osorio-Hernández, to the CCI Board of Directors! CCI's Wendy Lahmon (Director of Pathways to Progress) and Buta Muzuri (CARA) went to Washington DC for advanced training in Mentoring Best Practices. 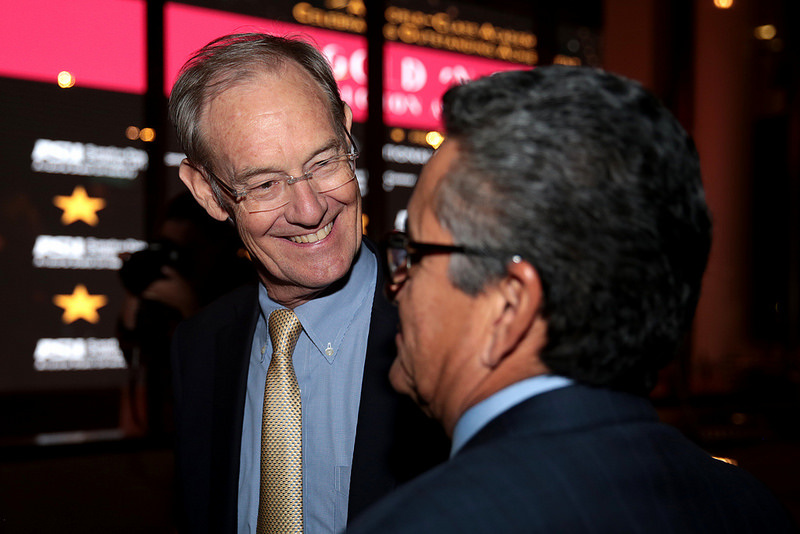 The conference focused on better understanding trauma, adverse childhood experiences, and how they impact anti-social behavior and substance abuse. CCI offers mentoring services for at-risk youth, encouraging them to stay in school, strengthen gang resistance skills, improve achievement and promote healthy relationships. We work to prevent youth involvement in the juvenile justice system through building a positive sense of self and community. Our program is currently at capacity, but stay tuned! In September we will begin to recruit additional students and mentors for the program. Catholic Charities of Idaho receives funding from CCUSA and the Walmart Foundation to Educate the public on SNAP! Catholic Charities of Idaho received a grant from CCUSA and the Walmart Foundation, to help those eligible for nutrition assistance to make informed decisions about applying for the program and accessing benefits. SNAP! offers nutrition assistance to millions of eligible, low-income individuals and families and provides economic benefits to communities. Food insecurity is a significant barrier to long-term economic stability and success for many Idaho families, and SNAP! is the largest program in the domestic hunger safety net. ​Given these statistics, Catholic Charities is focusing outreach and enrollment efforts on refugee, immigrant and underserved rural communities in the Southern and Eastern regions of Idaho. ​CCI employees offer multi/cross-cultural competencies and possess appropriate language abilities to serve members of these communities. . CCI will provide SNAP! 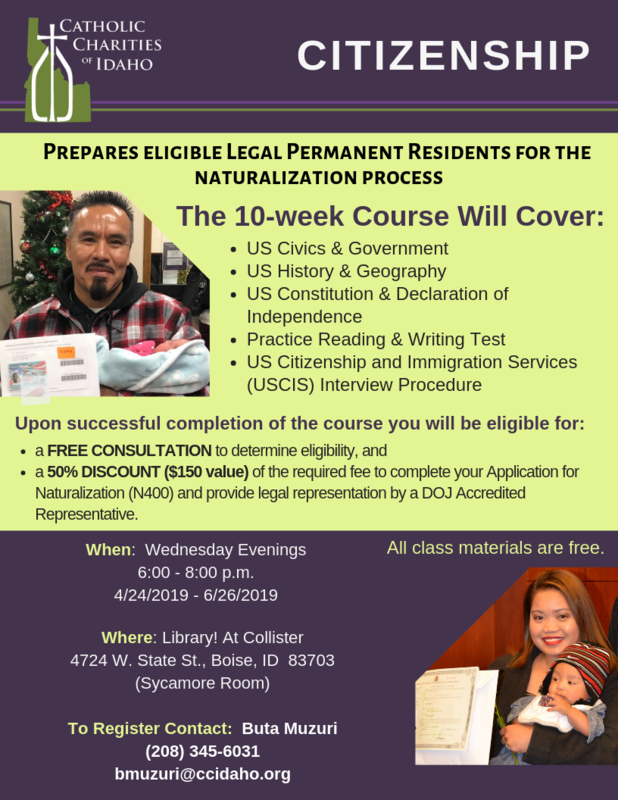 information and expertise at local events including El Día de los Niños Celebration, Cinco De Mayo Celebration, and Farmworker Appreciation Day. CCI will provide mobile services within Canyon and Bonneville counties, as well as within more rural counties such as Owyhee, Payette, Elmore, Jefferson, Bingham, Madison and Fremont counties. ​About CCI: Catholic Charities of Idaho offers a variety of social services that improve lives, promote dignity, and build individual and family self-sufficiency. Founded in 2000, we prioritize service to those most in need, promote healthy family life, stable relationships, and social inclusion, offer culturally competent services to newcomer communities, and foster safety, trust, collaboration, and empowerment as the key guiding principles of our work with clients. Note: Each class meets once a week, is given in the language listed, on the date and location noted below. Please select one class for which you wish to register. Please include your language if you checked "Other" above, and any other information we need to know.